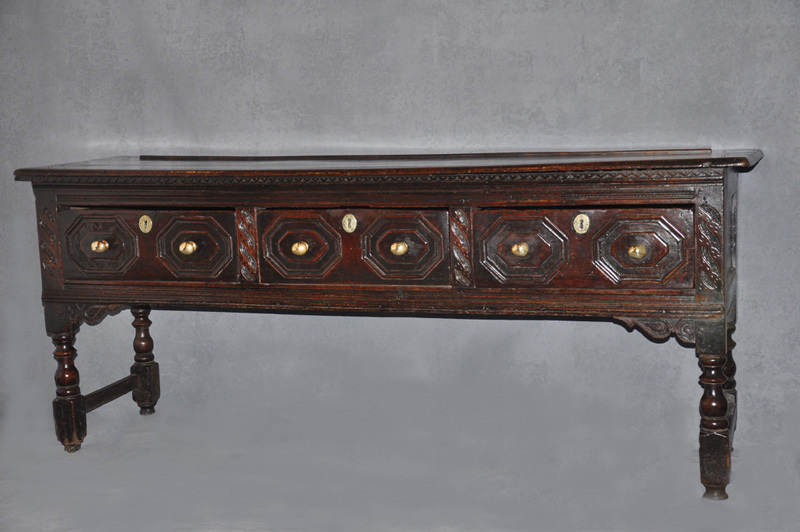 A Wonderful 17th Century Oak Century Dresser with carved front and brackets, of superb rich warm colour. 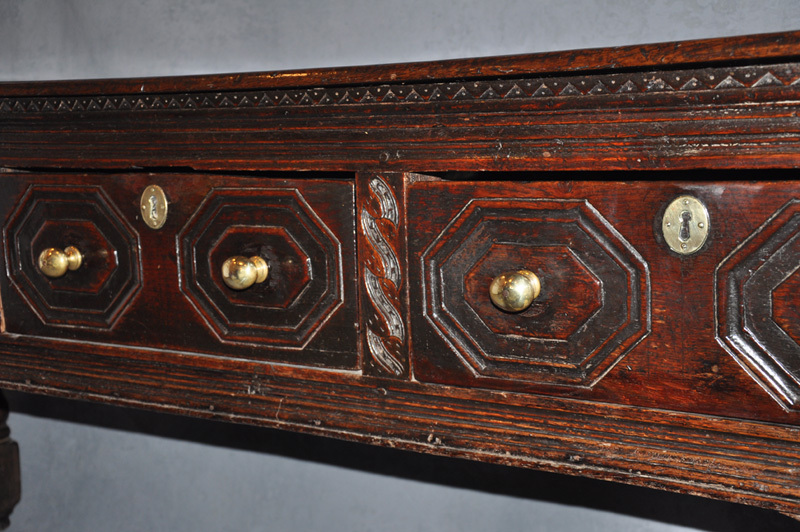 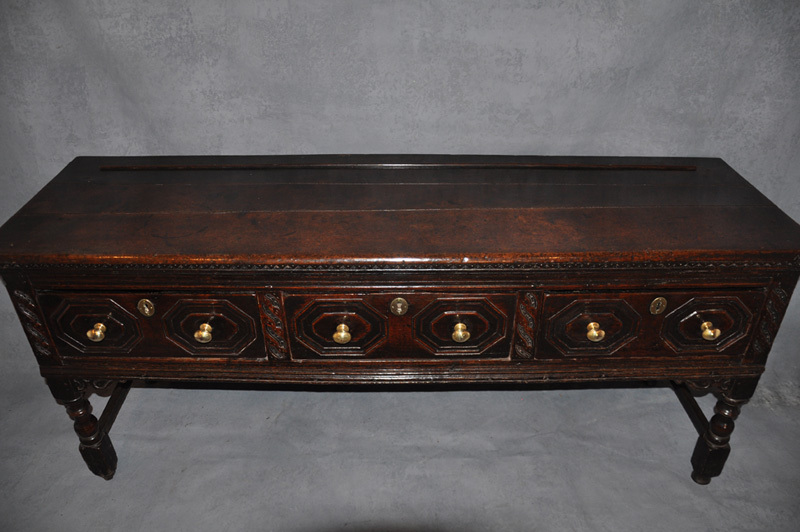 A rare feature on this Dresser is the drawer fronts, instead of the molding being applied as is usually the case they are carved from the solid wood of the drawer front. 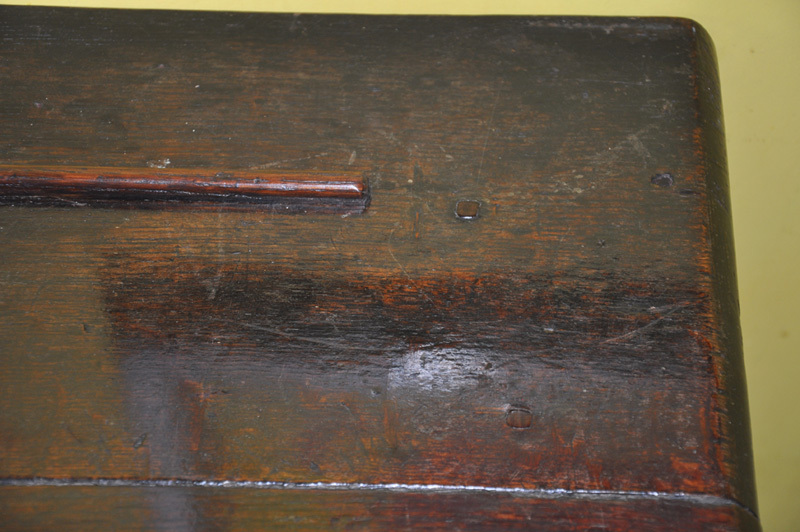 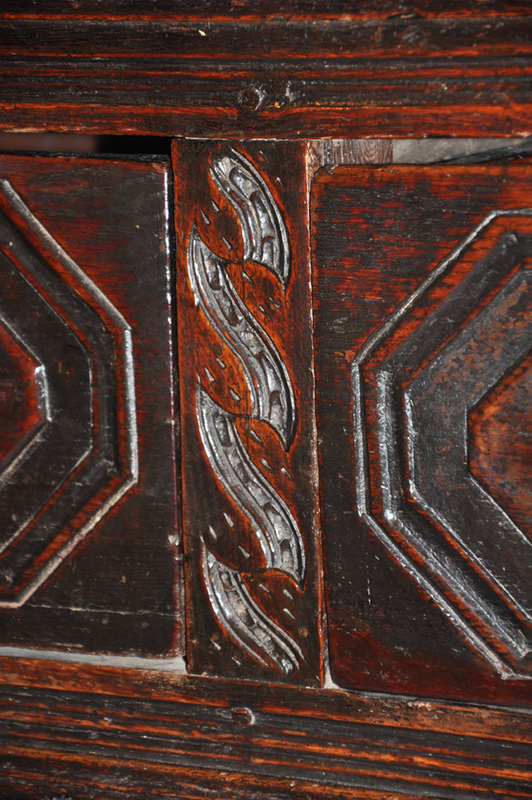 It is also unusual to see the stiles in between the drawers carved as they are here. 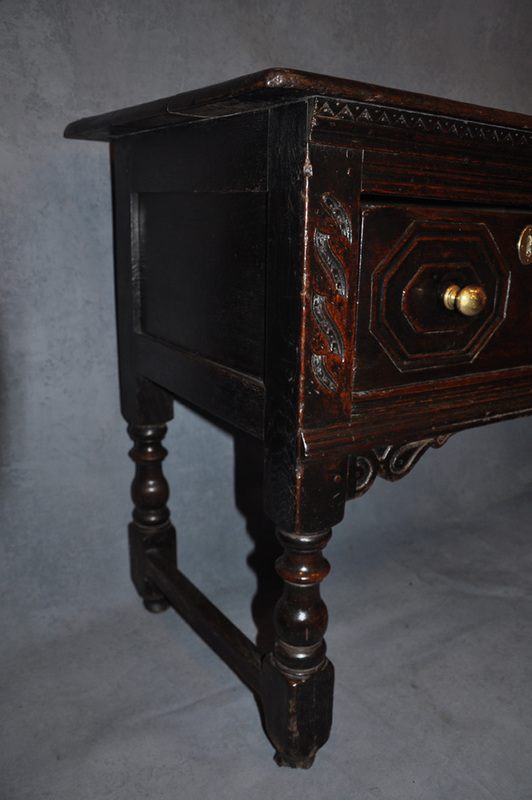 A fine example of an early Dresser in good original condition with a good top, the pegs are untouched.